Almost seven years ago, Penn State alumnus Steve Garguilo was browsing through his Facebook newsfeed when he saw a video of a fellow alum on a stage participating in a TEDx event at Carnegie Mellon University. Unlike the larger TED conference, TEDx events are independently organized by individuals and teams around the world. Most of us are familiar with the popular TED or TEDx videos. It’s not uncommon for a professor to even show one during a lecture. But at the time when Garguilo was a student — the concept of a TEDx conference was still in its infancy. It’s hard not to get inspired by any TED videos. With their motto being “Ideas worth spreading,” Garguilo wanted to attend the annual TED conference, but the $8,500 conference fee and invite-only ticketing put it well out of reach for him. Instead, he looked to see if there was a TEDx conference here at Penn State. Garguilo had seen different universities host them, but Penn State didn’t have one. That led him to start Penn State’s TEDx conference TEDxPSU. Since Garguilo launched the first TEDxPSU conference in 2010, the organization is still going strong and is coming up on its 7th annual conference. This year’s theme, “Breach,” is meant to share ideas that break past the status quo, redefine progress, and add new perspectives on things. To date, more than 90 talks have been given and this year’s conference for the first time in TEDxPSU history has even sold out. 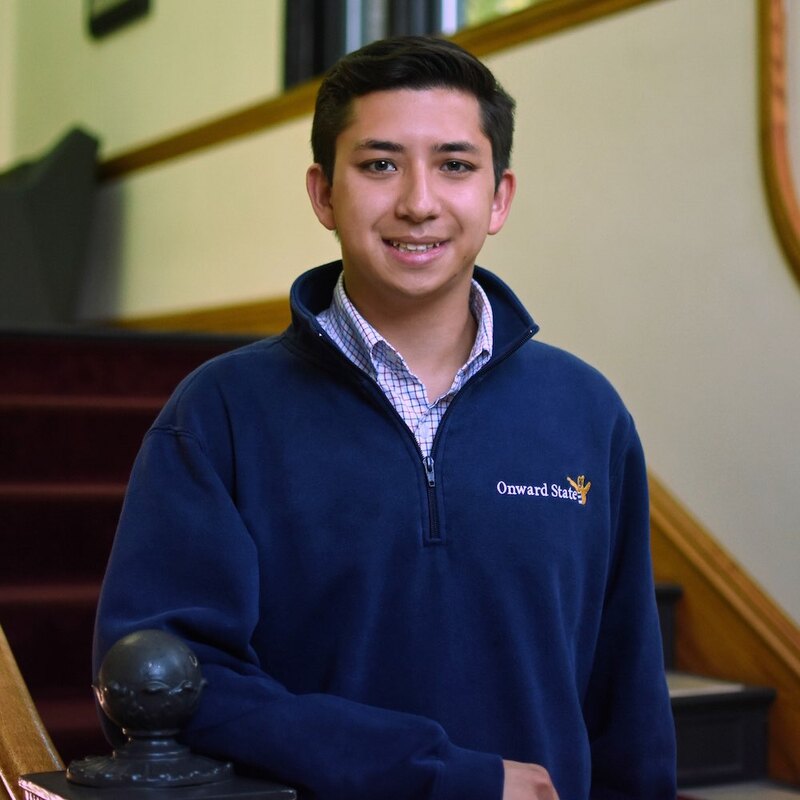 After graduating in 2009 with a degree in Information Sciences and Technology, Garguilo has spent much of his post-graduate career working at Johnson & Johnson (J&J), but he never stopped focusing on making an impact on the community and the world around him. First starting out in Skillman, New Jersey, he eventually found himself working in Zug, Switzerland where he worked on social projects focused on sub-Saharan Africa. Garguilo hasn’t set aside his love for TEDx and his passion for helping people share their innovative ideas. While at J&J, Garguilo launched TEDxJNJ, the first global corporate TEDx program, and in the process created a new role for himself. The team that he led for five years has organized programs in 58 countries and at over 94 J&J offices. Each program that he’s organized has improved people’s willingness to challenge the status quo and improve their ability to make ideas happen. Garguilo’s obsession with helping people share their ideas over the last 4-5 years has now led him to focus on the “action space.” He realized that when people have an idea in the back of their head, they tend to want to set aside some time to work on it. But as time passes, that time never comes. Garguilo also realized that people tend to have a relatively easy time helping others come up with ways to act on their ideas, but when it comes time to act on one’s own ideas, it becomes significantly more difficult to do so. He wanted to help everyone make their ideas a reality. The book shares their learnings as well as inspirational stories from more than 50 people who made their ideas happen. One relevant and notable story is from college student Graham Allgood. Allgood was looking for summer internships and he wanted one with Horizon Media, an advertising agency located in New York City. Rather than submitting his resume online, he designed a custom Snapchat geo filter that incorporated the company’s logo, his name, and the text “hire me.” Allgood tweeted at the company and hours later they responded asking him to come in for an interview. He eventually got the job. Garguilo wants more people to have experiences like Allgood. He wants more people to take action on their ideas and bring them to life. Surge is the blueprint for making your ideas happen. If you want to meet Garguilo face to face, he’s in town for the launch of his book following TEDxPSU this Sunday. Those wishing to attend are encouraged to RSVP to the Facebook event here. Patrick is a Marketing major from Princeton, NJ. He has sadly graduated and left Happy Valley, but if you're reading this know that he enjoyed writing about politics during his time with Onward State. If you have any questions about what he's written or you see a photo that you want to use feel free to email [email protected] if you don't want to get a response. If you're looking to get a response, then shoot him a message and a follow on Twitter at @patrickcines. If you get a sketchy-looking email from Penn State, ignore it.